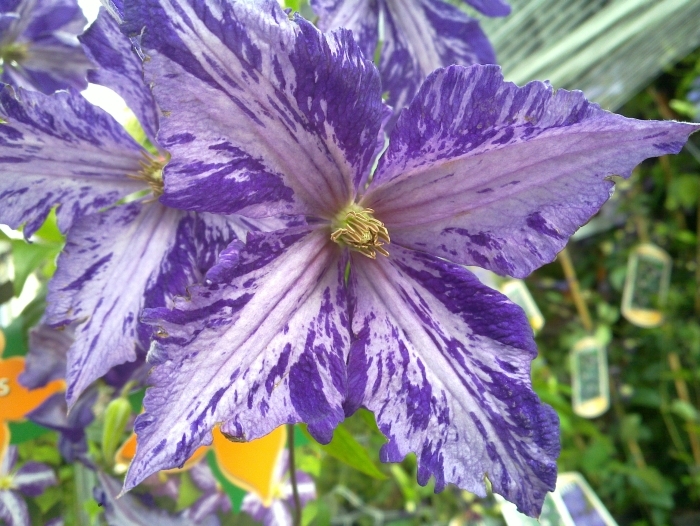 Clematis Tie Dye is a unique looking clematis, it consists of a basic purple flower with a distinctive white splash running through each petal, the texture of the flower itself is bumpy to the touch but ridged to the eye. 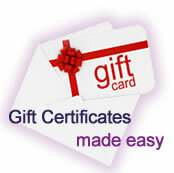 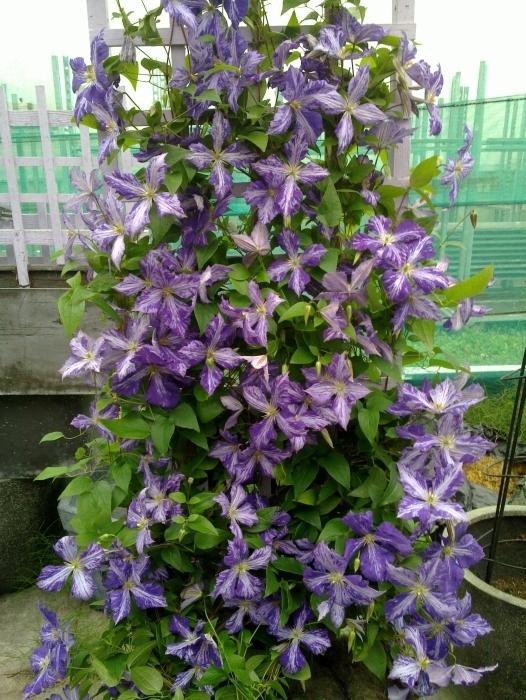 This plant flowers from June to September and puts on a magnificent bloom during its flowering season. 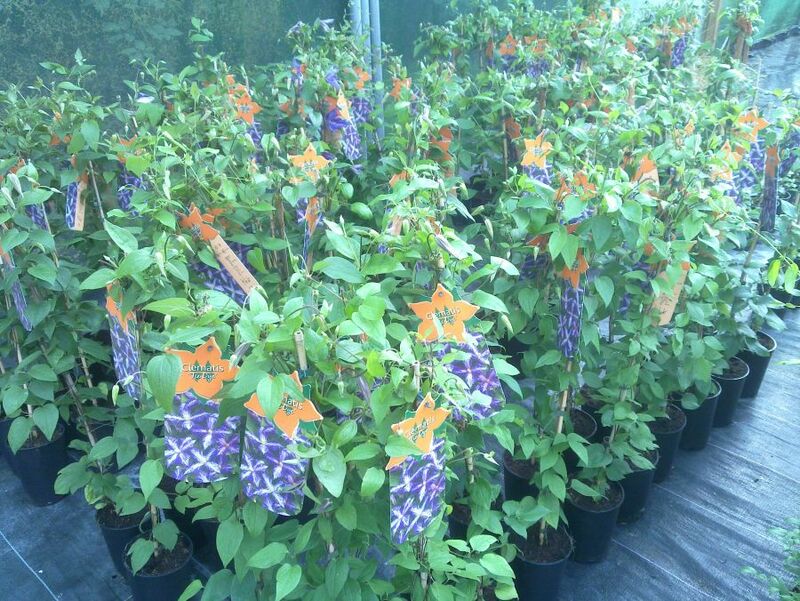 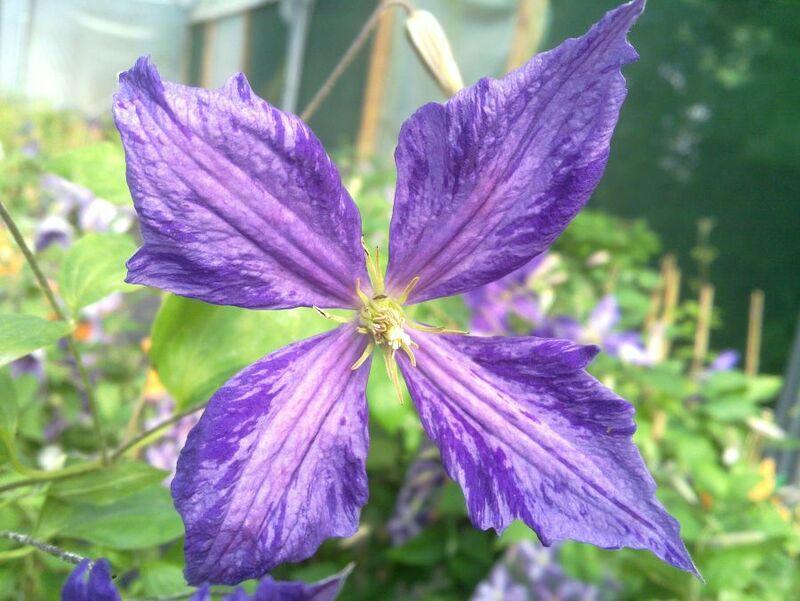 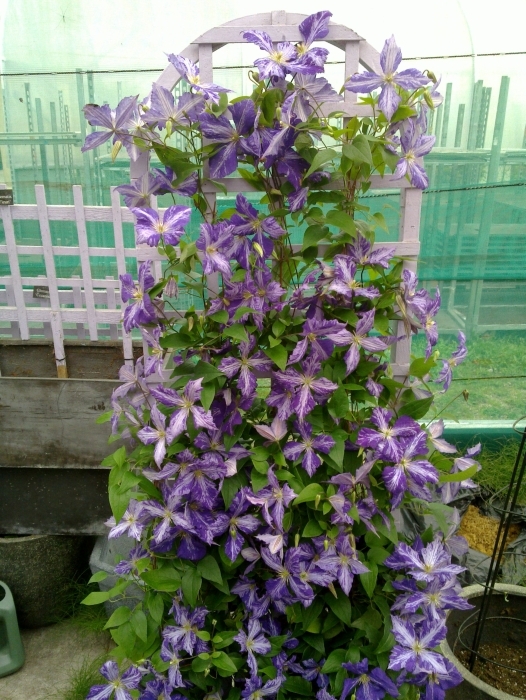 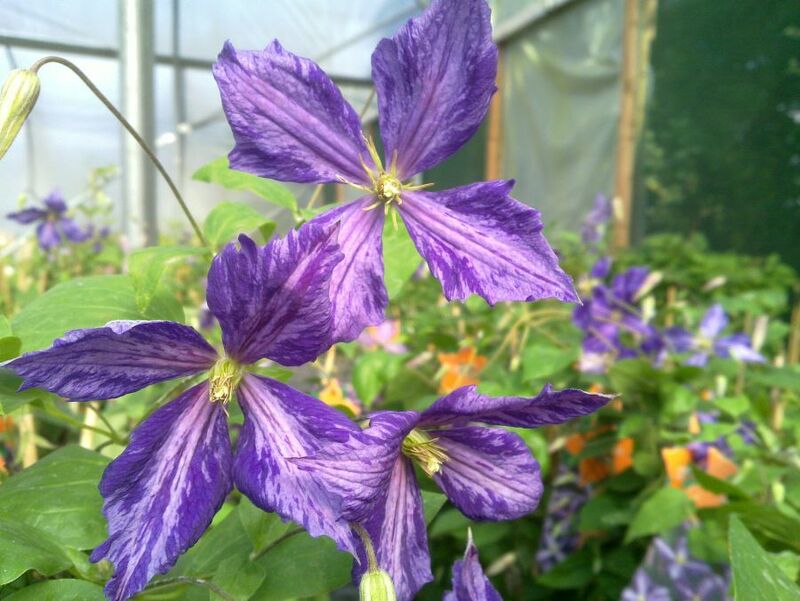 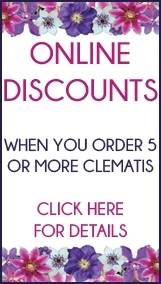 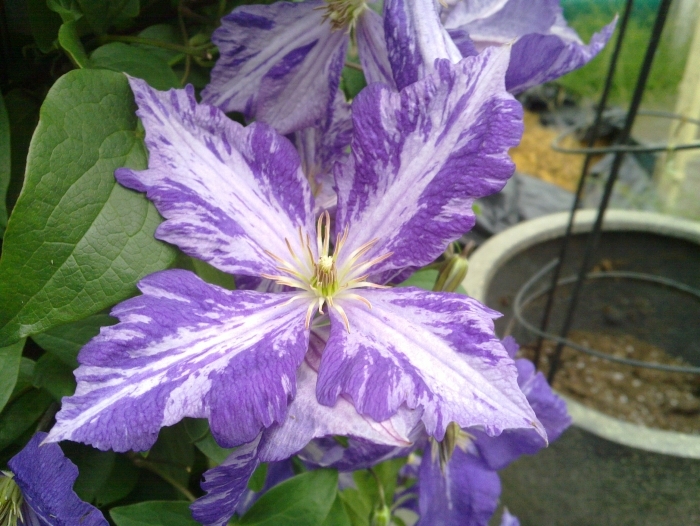 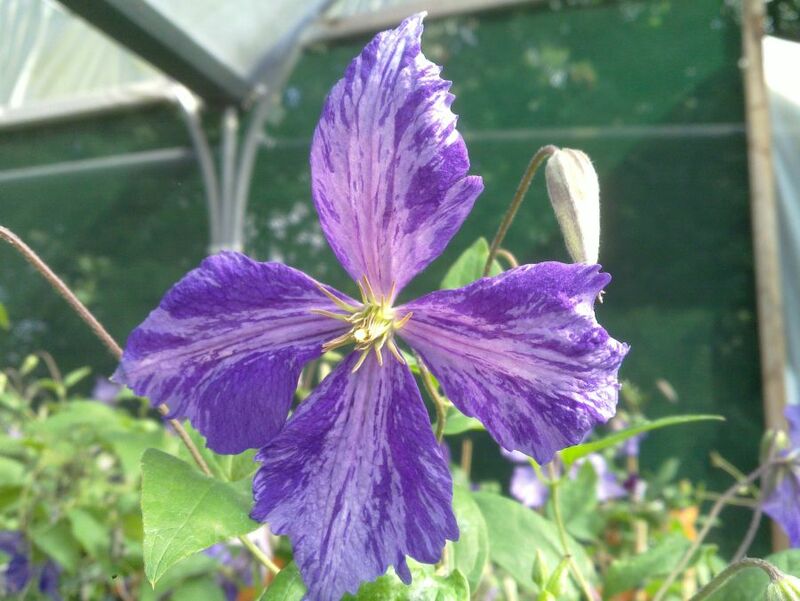 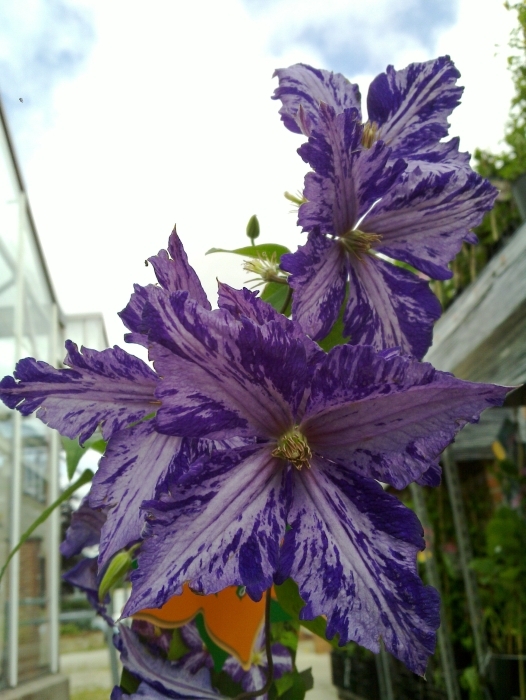 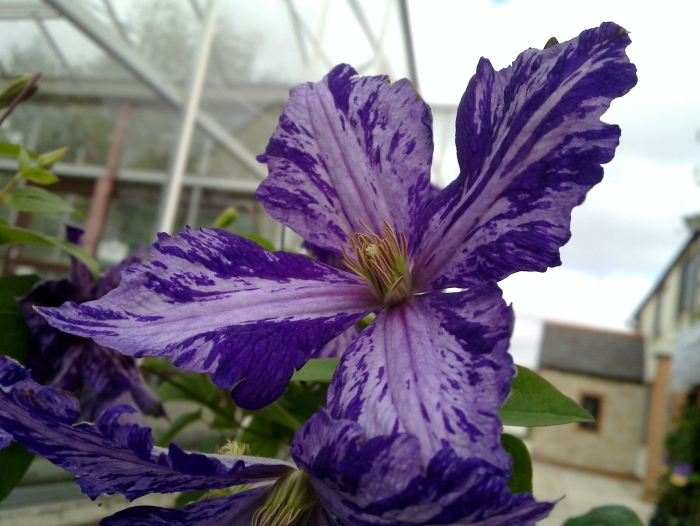 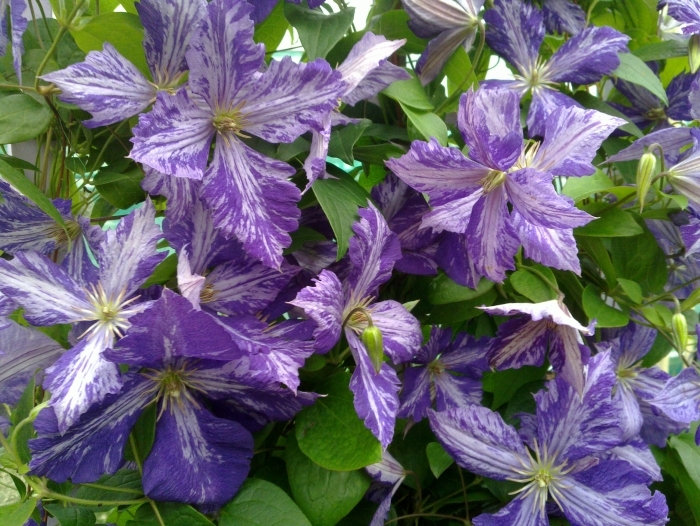 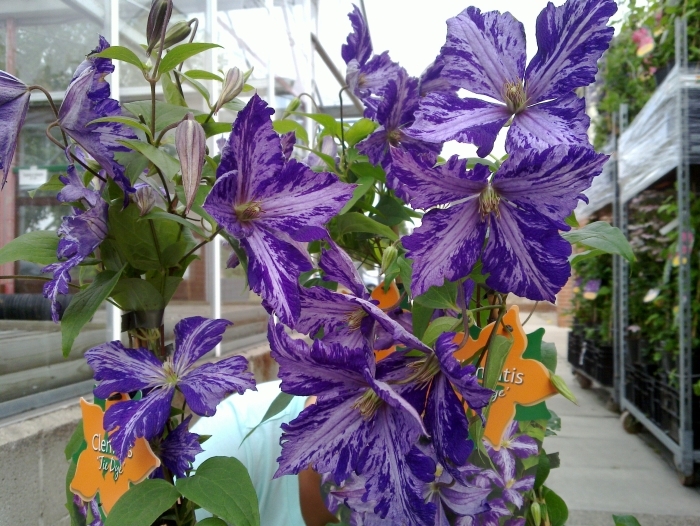 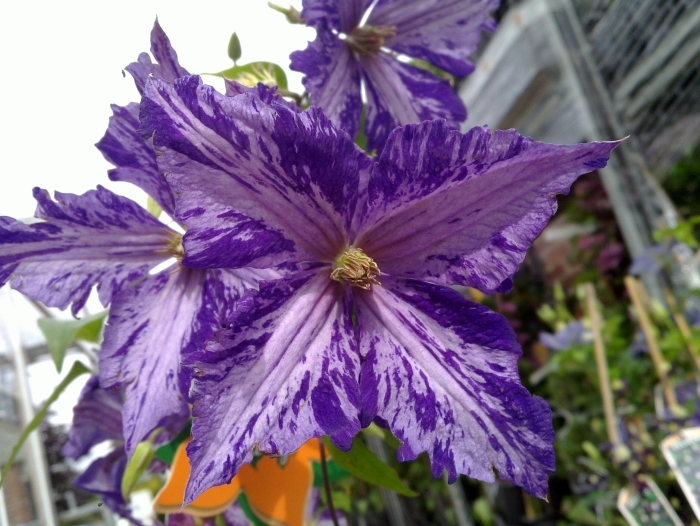 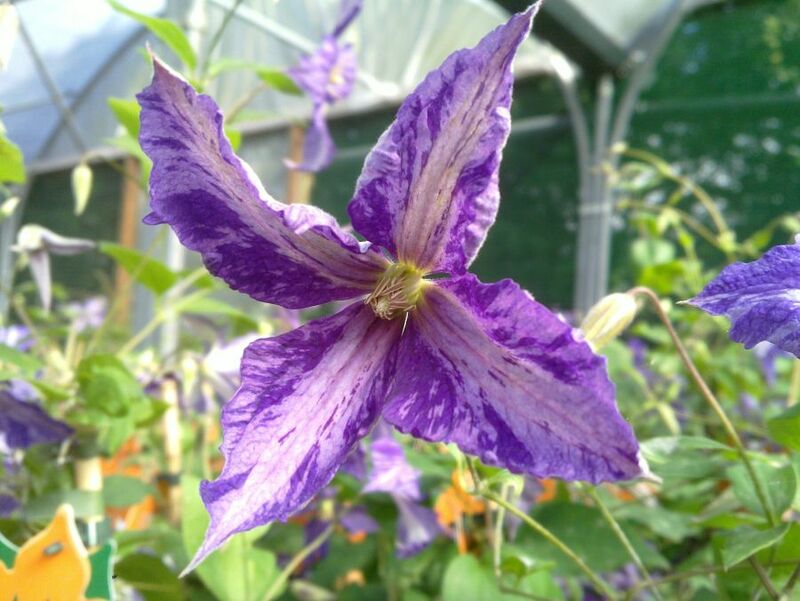 Clematis Tie Dye has been bred from Clematis Jackmanii.